Kerry is by far and away the most beautiful and scenic of the counties of Ireland. It is wholly immersed in the history of Ireland and holds many heritage sites. A number of it’s sites draw visitors from the four corners of the world who want to feel the romanticism of old Ireland. The main airport in this region is Kerry airport who they welcome over four hundred thousand plus passengers every year! 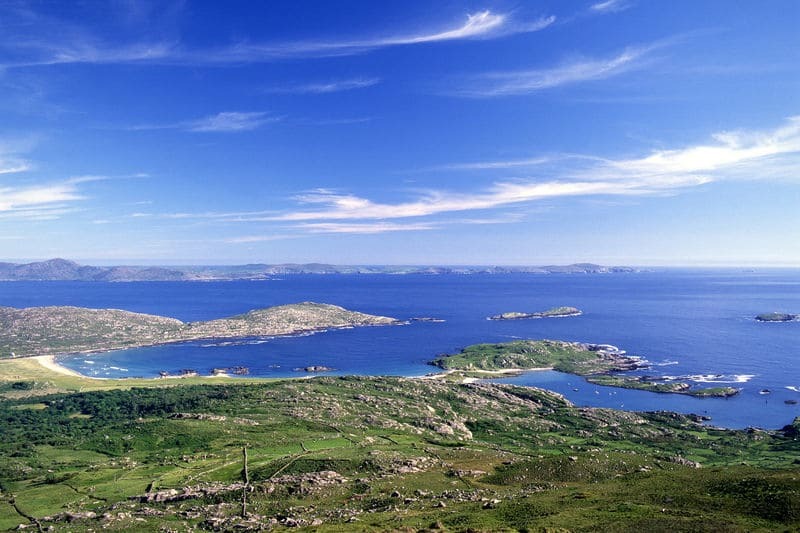 The Wild Atlantic Way is Ireland's first and only long distance driving path for tourists, which stretches along the Atlantic coast from the stunning Donegal to the spectacular West Cork, an approximate 2,500km track. 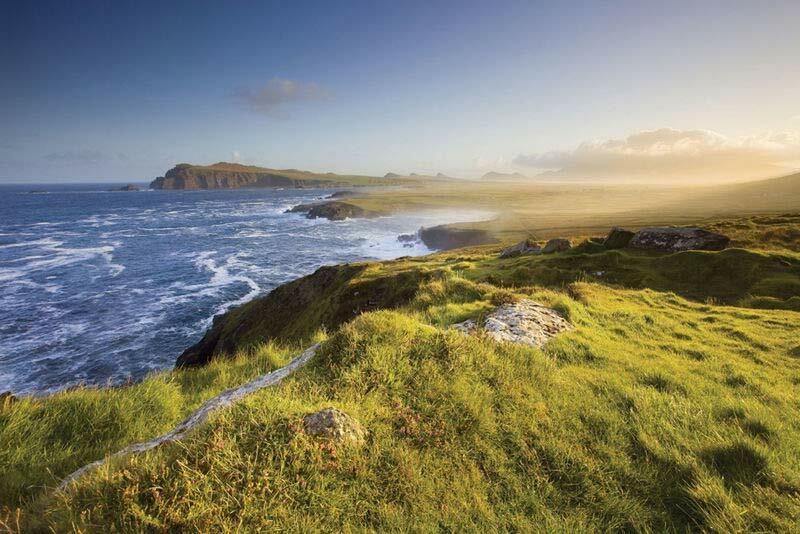 Stretches from Tralee to Slea head and looks west upon the famed Blasket Islands, home to a rugged island people until the 1950’s and inspiration for acclaimed writer Peig Sayers. Often referred to as the last parish until the New World, it is home to a number of rural Ireland’s most famous landmarks such as the Gallarus Castle and Oratory. 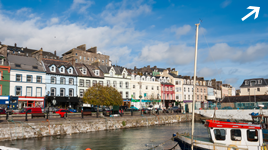 The Dingle peninsula caters for everyones taste and imagination, from aquatic pursuits, heritage trails, religion, patriotism to fine dining and luxurious surrounds, and all within a four hour time frame by road. Slea Head drive is a popular route taken by tourists. The lakes host numerous top class golf courses for the aspiring Padraig Harrington’s of this world. With no shortage of accommodation and fabulous infrastructure, in a day visitors can expect to be astounded with sights such as the Irish Red deer rutting around the countryside. Celebrated its 50th year in 2009 and plays host annually in August to the international festival of the roses. In 2013 there will be a special, “Gathering of the Roses from the 14th to the 16th of August. Not to be missed! See more details about the event. Take a guided trek up Ireland’s highest mountain and get the blood flowing, once at the top of Carrauntoohil, overlook Mt. Cahir and the Mc Gillycuddy reeks and enjoy the fascinating glacial artistry in this raw taste of Ireland’s map. Kerry plays host to parts of Irelands most rugged coastline which is dotted with hidden inlets and coves, all of which are ideal for rock, beach or boat angling. Kenmare harbour is breathtakingly wide in parts. Many celebrities over the years have bought or rented properties on the shoreline. Regular ‘seafari’ trips will take the visitor through the harbour and around the beara channels and back to the enchanting Kenmare town. Irelands rugged rock, sweeping woodlands, coastal magnificence both salt and fresh, castles, chapels, museums, villages, estates, parks and studs are all contained in the Ring of Kerry. A 180km circular drive will occupy and fill any weekend! Killarney car rental is available at Kerry Airport - 18 mins drive. Home to a proud sporting history of Hurling and Gaelic Football. Visiting a county with such a passion for sport would simply not be complete without taking in a county or club match. The speed and intensity of the games is a sight to behold as football players grapple at football and hurl to the “Clash of the Ash”. Kerry has a magnificent tourism and heritage infrastructure, whilst all the time ensuring that there is an adequate selection for the younger visitors. 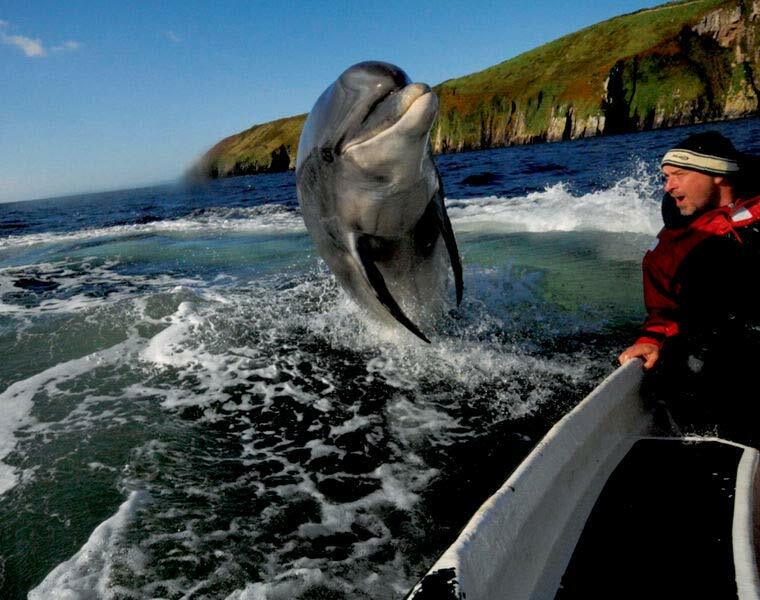 Dingles attractions and fairgrounds and Tralee’s aquatic centre are world class for education and entertainment. Both are located in the town centres.